With its beautiful, dark finish and classic design, this handcrafted, Western style dresser will make a sophisticated and elegant presentation wherever it is placed. 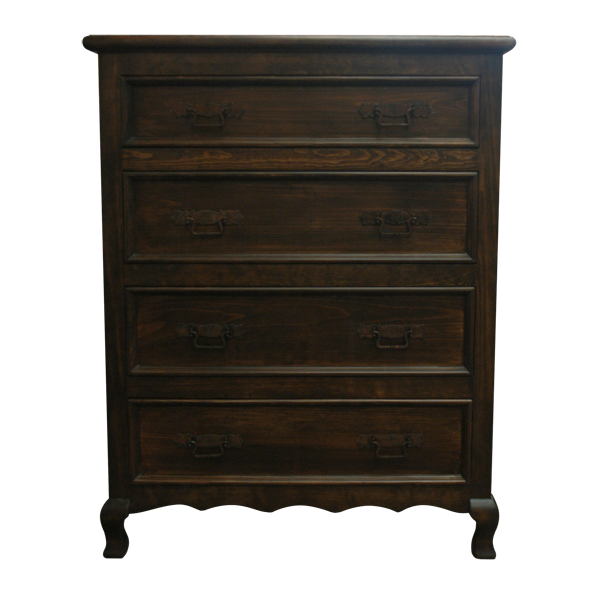 The dresser features four, spacious, rectangular drawers, and each drawer has two, hand forged, iron handles. The open, wide top has a straight, top rim, and each side of the dresser is adorned with a decorative, geometric cut panel. The base has a repeating, shell like, curved design, and the dresser rest on curved, cabriole style legs. 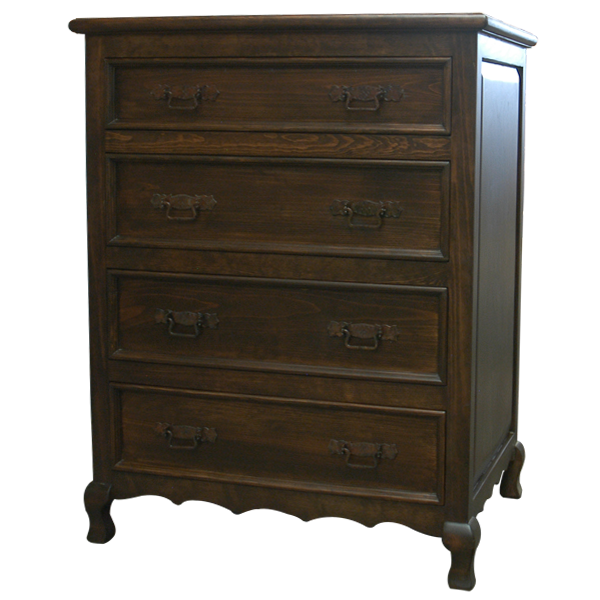 The dresser is finished with an antique, dark brown stain, and it is made with the best, sustainable, solid wood available. It is 100% customizable.